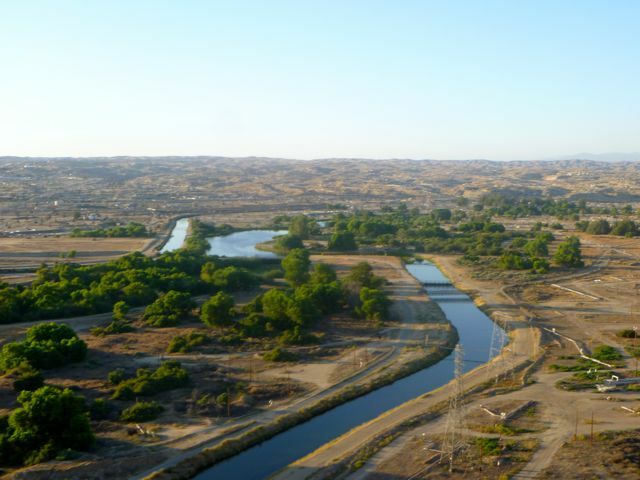 Bakersfield has an active bike culture and bike advocacy group, http://www.bikebakersfield.org, along with the 32-mile scenic Kern River Parkway bike trail. 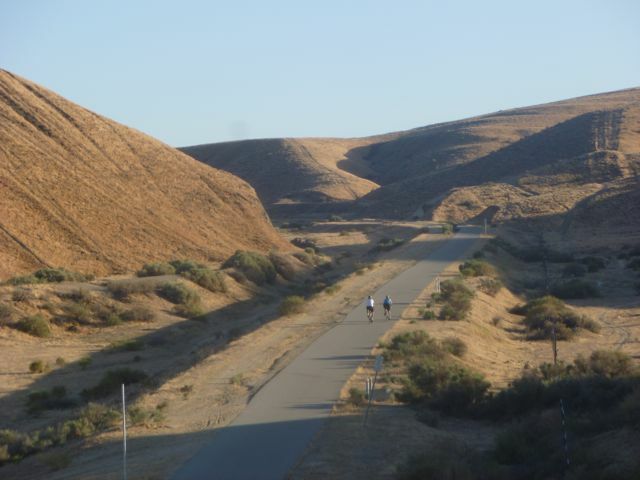 The http://www.kernriverparkway.org group is working to add even more bike trail miles. Cycle out past riparian vegetation along the trace of the Kern River from near I-5 to the west, east across town, past SR 99. Connect to the pretty Ming Lake area, the Basque restaurants downtown, and Buck Owens’ Crystal Palace that celebrates the city’s country music heritage. enCYCLEpedia Southern California describes these routes in detail. 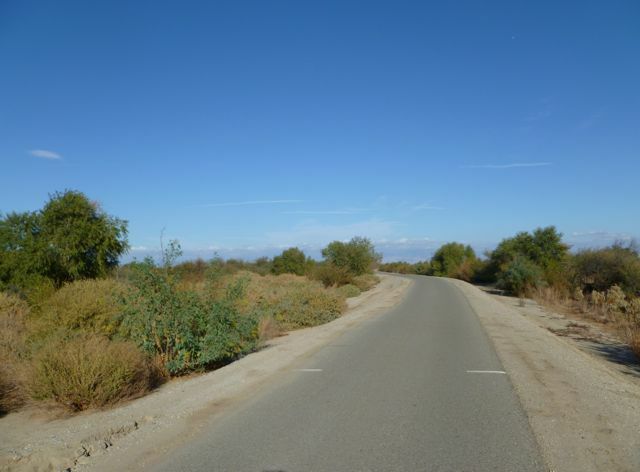 The Kern River Parkway is a riparian oasis with a good potential to see wildlife. The east side of town is oil production land, but is scenic in its own right, especially along the riverside trail. 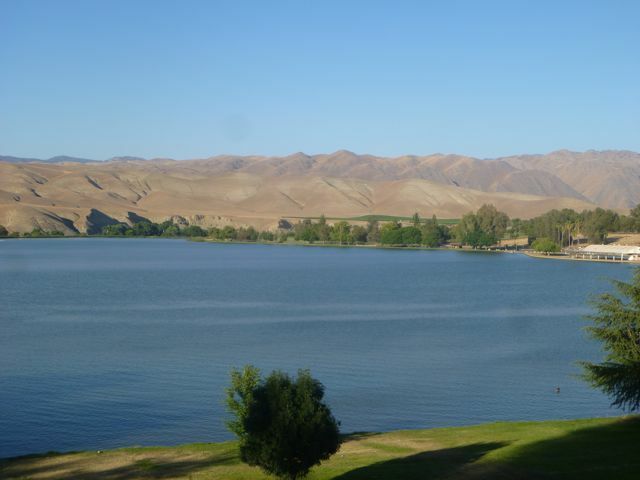 Ming Lake is in the upper section of the Kern River bike trail, on the far side of the lake as shown. This area also has a public campground, golf course and the C.A.L.M. zoo. Rattlesnake Trail forms part of the connection between the Ming Lake area, central Bakersfield and the Kern River Trail.